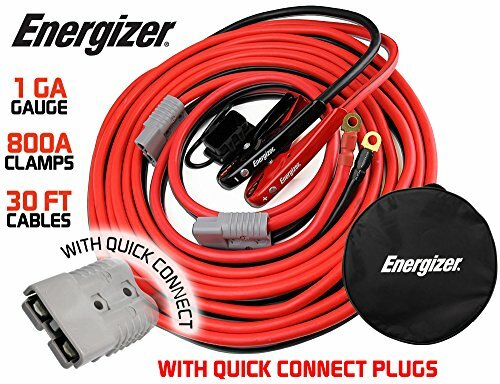 Energizer 1-Gauge 800A Permanent Installation kit Jumper Battery Cables with Quick Connect Plug 30 Ft Booster Jump Start ENB-130-30′ Allows You to Boost a Battery from Behind a Vehicle! 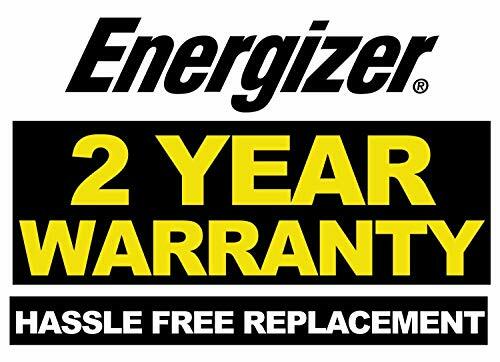 Energizer professional series heavy duty for all vehicle types plus full size trucks, vans and SUVs. 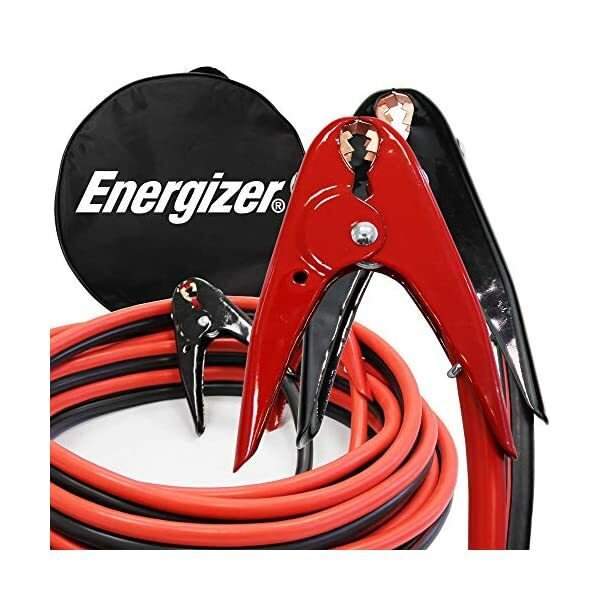 • Red/black PVC-coated insulated clamps for simple identification. 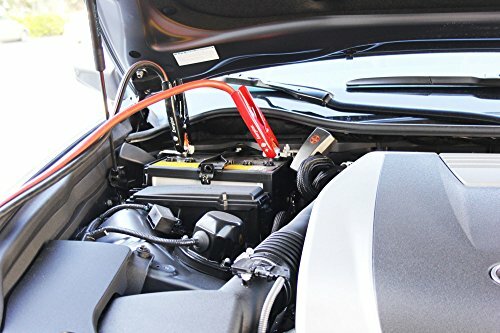 • Tangle-free cables is still flexible even at -40°C. 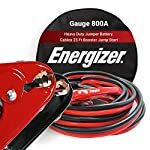 • Heavy duty copper clad aluminum 1 Gauge, 25 Ft, 800 AMP. All weather use. 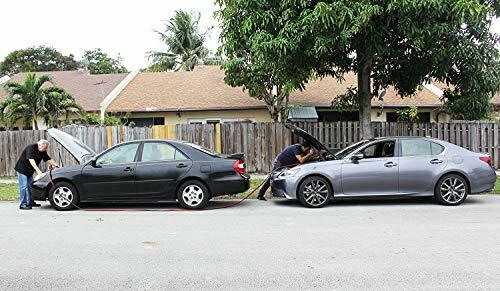 • 25′ Means that you can spice up a battery from at the back of a vehicle! 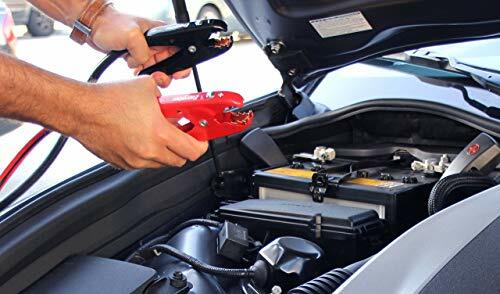 ALLOWS YOU TO BOOST CAR FROM BEHIND – 25′ Means that you can spice up a battery from at the back of a vehicle! 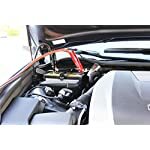 TANGLE FREE CABLES – 25 Foot length makes it easy to achieve from one car battery to some other. 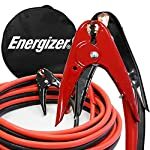 Copper clad aluminum cables is still flexible even at -40°C. 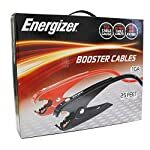 INCLUDES TRAVEL BAG – Booster Cable comes with a trip bag for simple transport and compact storage. 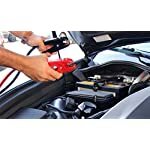 THE BRAND NAME YOU CAN TRUST – We are here to power your car battery and truck with our booster jumper accessories. We keep you going and going! 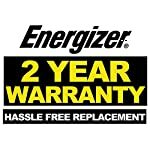 Features a 2 Year Warranty! 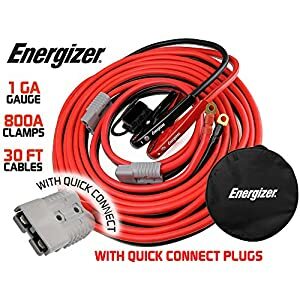 Energizer 1-Gauge 800A Permanent Installation kit Jumper Battery Cables with Quick Connect Plug 30 Ft Booster Jump Start ENB-130-30' Allows You to Boost a Battery from Behind a Vehicle! 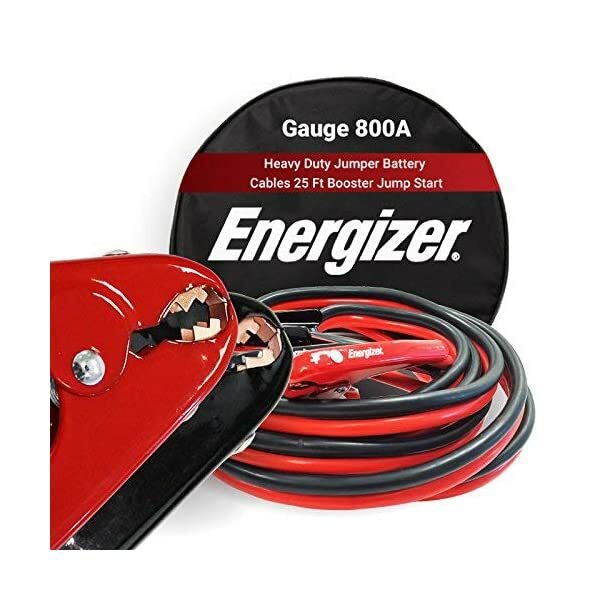 1 Gauge 30Ft booster battery jumper cables with Permanent installation kit and Quick Connect. Booster Cable comes with a travel bag – Ideal for use with full size cars and cargo vans, mid-size pickup truck and freight hauling vehicles.